Too early to tell, come back to me in 5 years time! But, good performance so far. Arrived quickly and very well packaged. Seems to be good quality, only time will tell. I use a hydrometer to manage the charging regime but there are no individual caps on this battery. it does not seem possible to access the cells for top up. I'll use battery voltage and measure the capacity in A.Hrs if I'm in doubt about the charging regime. On a boat the battery does not have an easy life (Volts often not high enough to deal with sulphation and frequent deep dishcarge) so managing boost charges etc becomes important, s.g. helps to manage this. I would have bought a battery with access to the acid in the cells if I had know about this from the advert. Star rating is for overall service level..ask me in 3 years about longevity! Brilliant service, ordered early evening, delivered next morning, well packed. The last battery that was of this type lasted far longer than was expected. It is too soon to judge this Tanya Enduroline. But the Vendor's service was excellent. Excellent delivery, well packaged. Batteries up and running in motor home, with no problems. Easy to install and immediately fixed a problem I had with an appliance in my van. Planning a 2 week trip early September which will give me a better idea on performance. Delivery was spot on due to the tracking so no waiting around. Having only just received the batteries and installed them It is difficult to say much about these batteries. They fit and appear to work well. Right product, easily ordered and quickly delivered. 1st class delivery service to the caravan park where we're on holiday.old battery out and new one in. It came well packed, good work Tayna ! Just got the product and all seems well. Haven't used it much but vehicle is starting well and fridge keeps going for 18 hours without charge. Tanya batteries is an outstanding service. They kept their delivery promise and I live on the Isle of wight! Excellent packaging and delivery . Haven't used the battery yet so reserve judgement. 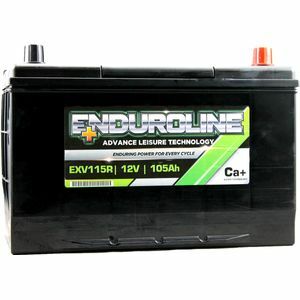 Excellent service - next day delivery, battery well packaged, ready to use. Hope it performs as good as it looks. First time dealing with Taynor and will definitely use again. Staff very knowledgable and friendly. Prices very competitive and next day delivery fantastic. Still to decide on battery quality as only had it a couple of weeks but working well straight out of the well packaged box so far. Brilliant service, well done guys.